Cook bacon over medium heat until crisp; remove to paper towels and crumble. Set aside. Pour off all but 1 tsp of the drippings of bacon grease. 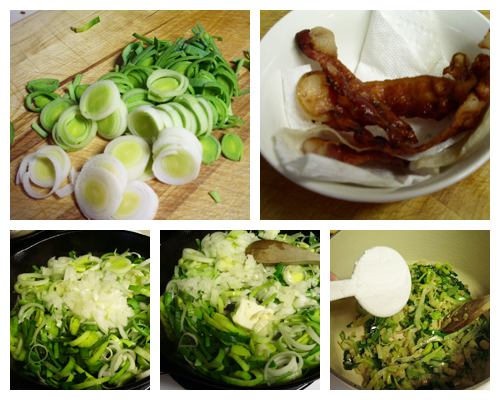 Add the leeks and diced onion along with the butter and oil. 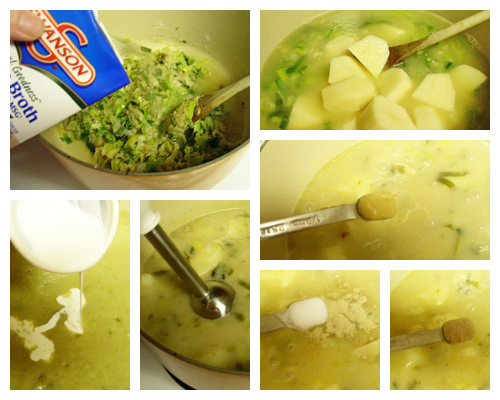 Cook this mixture, stirring until leeks are tender, make sure the onion do not turn brown. Sprinkle flour over the onion mixture and blend in. Add the chicken broth and cut up the potatoes. Cover and simmer over low heat until the potatoes are done ( about 15 min), stir occasionally. 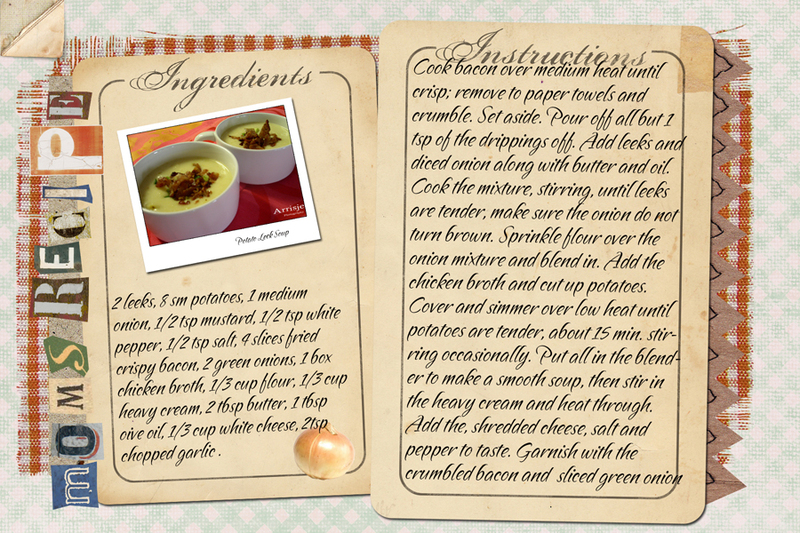 Put all in the blender or use the immerse blender to make a smooth soup. Stir in the heavy cream and heat through. Add the shredded cheese, salt and pepper to taste. 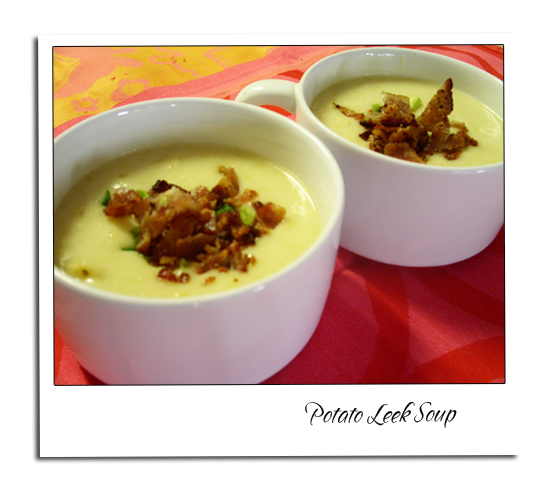 Garnish with the crumbled bacon and sliced green onions.